My name is Einar Aasen and I live in Trondheim, Norway. I paint mostly landscapes and seascapes, but some portraits too, in watercolour. Some paintings are places I have been or people I know. Other paintings are imagined landscapes or seascapes that I put together. I also paint commissioned paintings. My journey in watercolour started by shear coincidence. My wish was to learn drawing. I always admired those who could draw well and was contemplating going to a class to learn to draw. Then, in a totally different setting I got into conversation with a nice lady who was an artist. She was planning to teach painting in watercolour. After some discussion we agreed that if I learned to paint in watercolours I would also have to learn drawing. I signed up for her class. First time I saw paint flowing onto paper I was hooked. My fascination with watercolours started that day. Today, more than 25 years later it is till growing. 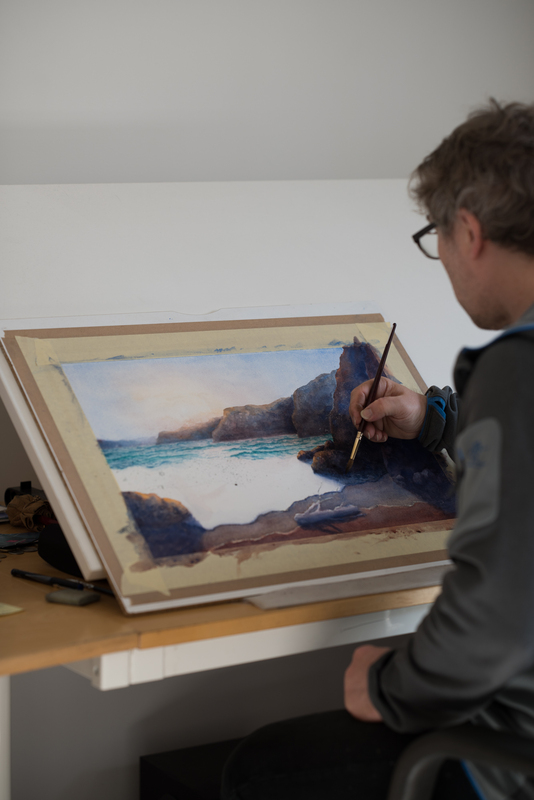 I enjoy every step of the process, finding and composing scenes to paint, drawing, choosing colours, planning the painting and of course painting it. I even enjoy stretching the paper. You can e-mail me at [email protected]gmail.com, or simply use the form on my 'contact' page.